Who said techno only exists in gritty basements and northern countries? Meet Abstraction, a proof that active techno collectives can be found in the Caribbean too. 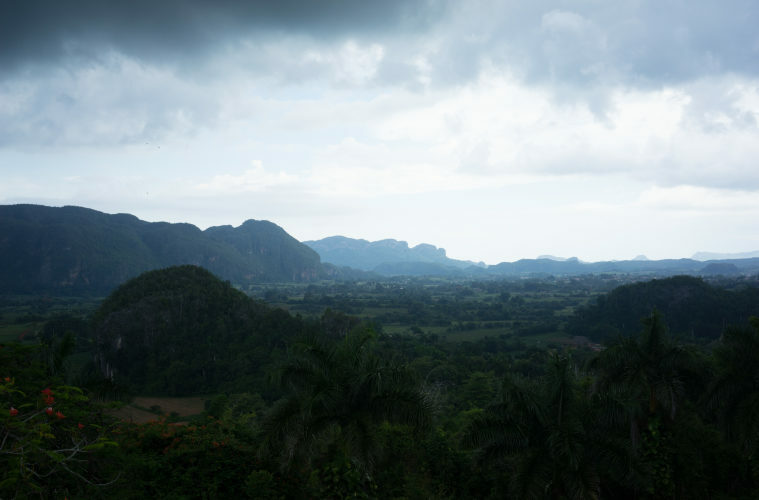 There’s a booming techno scene in Cuba, a place surely not known for this specific genre. Abstraction is the name of the first Cuban techno collective and record label, born last year thanks to the efforts of his founder, Hioll, who wanted to create a platform for all the techno artists of the island. Hioll is also a producer of a fantastic spectrum of techno sounds, already supported by artists of the likes of Marcel Dettmann, Richie Hawtin, Parallx, Regal, Setaoc Mass, Amotik, Janein, François X and more. We are happy to premiere on Monument his latest track “System 33”, out on the 27th August on his own label Hioll. We had the pleasure of interviewing Hioll and here’s what he told us about the clubbing scene in his country, the practical issues they are facing when organizing and promoting their parties and what’s in the future of Abstraction. 1) Can you tell us a bit more about Abstraction, how many people are part of the collective and when it was born? Abstraction is the first techno collective, record label and imprint of the island and it was founded last year by a bunch of like-minded friends. At the beginning it was just an idea, it started as a way for me to release my own music, but then I realized that there were many people out there making techno, young guys deserving a chance to show their work to the world and say: “Hey we are Cubans and, yes, we make techno!”. So I started to text-message every DJ and producer that I knew, asking if they wanted to join the project and that’s how it was born. We are now six active members: Åre:gone, Chimachine, Kidsue, Røttar, Sun Over Me and myself, Hioll. 2) How would you describe the clubbing scene in Cuba? Do you think there’s a demand for techno music or electronics, more in general? We don’t really have a strong scene, it’s quite irregular and DJs here seem to produce more electronic music than techno. But I do believe that we have the potential to build a solid techno scene, because we are party people and that’s a good factor. 3) Where do people usually party? Would you describe the Cuban scene more as club or rave culture? What about regulations, opening times of clubs and policies more in general? The scene is very small at the moment, but there are parties happening on the island. I think that people prefer raves than clubs. We have regulations, of course: most of the clubs open at 10pm and close at 4am. It is actually very hard to organize parties in the city, because the neighbors often call the police and they shut down the venue at early hours. 4) Where do you find your inspiration when producing music in a country that’s globally known for a completely different type of music? I usually find my inspiration listening to techno music that I really like, but I also have strong Cuban roots inside me, so I just let it flow. Cuba is globally known for salsa, but that’s also a stereotype: we have a very diverse range of genres like rock, hip-hop, reggae, pop and much more. 5) The type of techno you are producing seems very European, are there any collectives, labels from Europe that you look at for inspiration? I’m always digging for new music and I have found my inspiration in several labels or collectives from Europe over the years: I like a lot what Pole Group from Spain does. I also like Faut Section from Portugal and MindTrip. I am also a big fan of the guys at Mord. 6) Is it easy to buy music, like physical products (vinyls, for example)? Are there record shops for the type of music that you are interested in or do you mainly buy stuff online? We don’t have vinyl shops here and the only music shop that I know just sells Cuban music, from only two or three labels (the only labels of the country). So, for techno I have to go online, and it’s also a bit difficult because 90% of the people don’t have Internet at home, so we need to go to public Wi-Fi areas, mostly parks. The price of Internet is also very high, so that makes everything more difficult. 7) Latin America seems to have a booming techno scene and an increasing demand for DJs to play gigs there. Do you get any influence from those countries? Is it perhaps easier for you guys than being connected to Europe? I have heard that Colombia has a booming techno scene and this makes me very happy. Argentina has indeed a very good scene too. 8) How do you promote your parties? Are social networks helping in this? How do you deal or have dealt in the past with the lack of free Internet? Is word-of-mouth still working for promoting your work and events? Right now most of the promotion for the parties happens through word-of-mouth and text messages. We are also starting to use social networks for this. We have been dealing a lot of years with lack of Internet, at that time we were mainly promoting our parties with paper flyers. 9) Abstraction is also a record label, where do you sell or plan on selling? Abstraction sells in digital stores like Beatport, but we are planning on producing vinyls next year and maybe something in CDs too. 10) What’s in the future for Abstraction and for you, as a producer? What we want right now for Abstraction is to keep spreading the word of Cuban techno, trying to reach as many people as possible. Our international friends are playing an important role with their remixes, people like Vegim or Kloves have made very good remixes for us, some are released, some others are coming out soon. For me as a producer, I want to keep evolving and try to release on known labels to get more exposure. I am constantly pushing myself to make interesting music for the dancefloor.